1. In order to download Middle School Teacher Eligibility Test Exam Date candidates have to go to the important link provided below in the link section. 2. After getting the link candidates have to open the link for their admit card/Exam Date. 4. Candidates have to fill their Application No., Date of Birth, Captcha Code and select gender. 6. 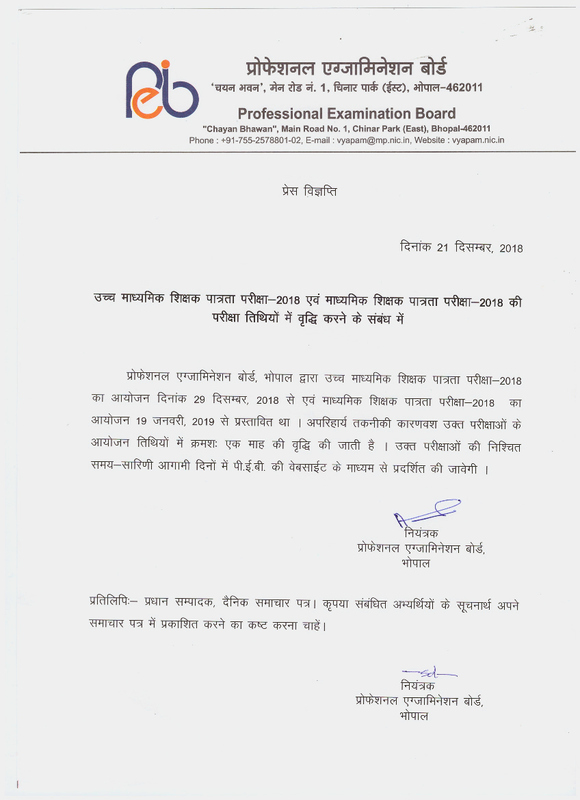 Candidates can also download their admit card from the Official website of Government of Madhya Pradesh Professional Examination Board (MPPEB) before 19th of February 2019.